Drain the lychees reserving ½ cup (125ml) of the syrup. Place the lychees and reserved syrup in a bowl and using a hand-held stick blender, process to a purée. Strain through a sieve, discarding the pulp. 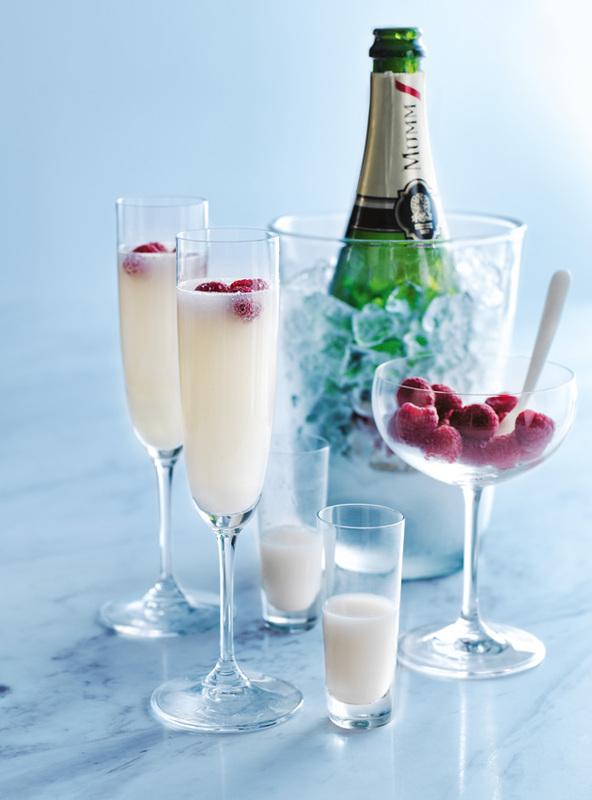 Divide the purée between 6 Champagne flutes and top with the Champagne and berries. Makes 900ml.